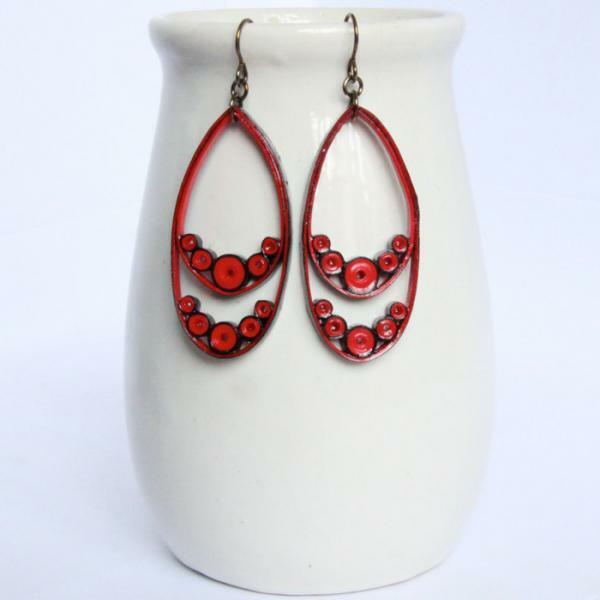 These fabulous eco friendly teardrop earrings are handcrafted by the art of paper quilling. 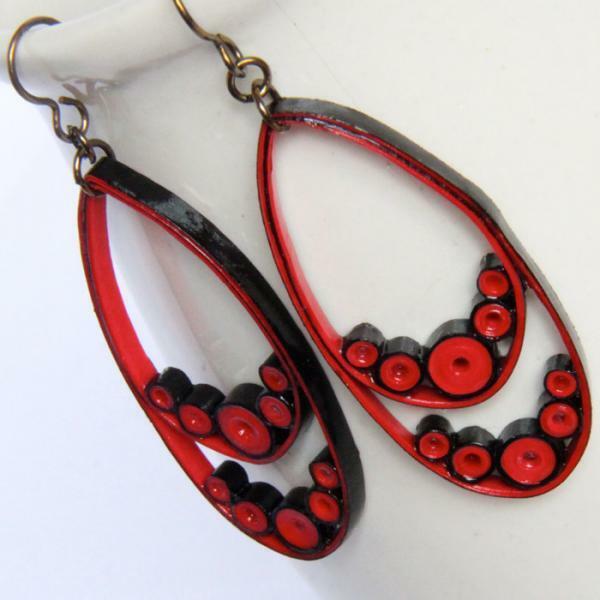 I chose the combination of red and black quilling papers to make this lovely pair. 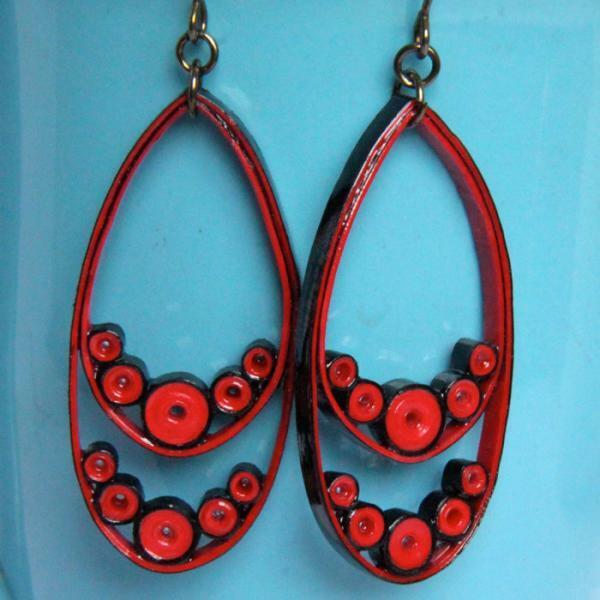 Bright, bold, fun, and classy! 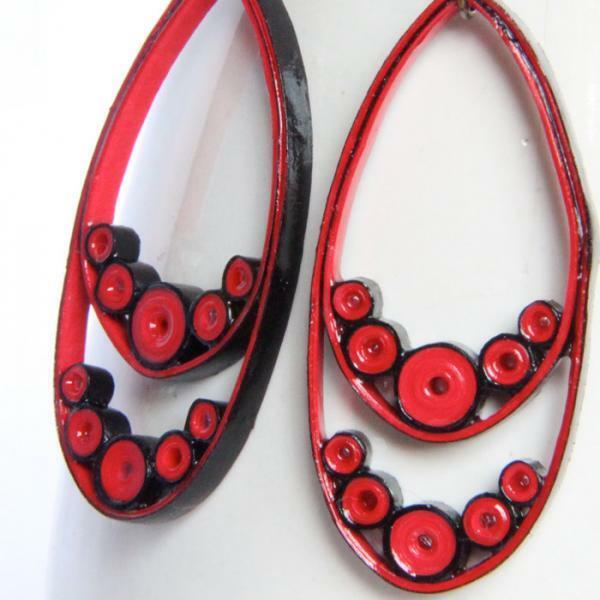 These can be used with a casual or dressy outfit, very versatile and sure to get compliments! 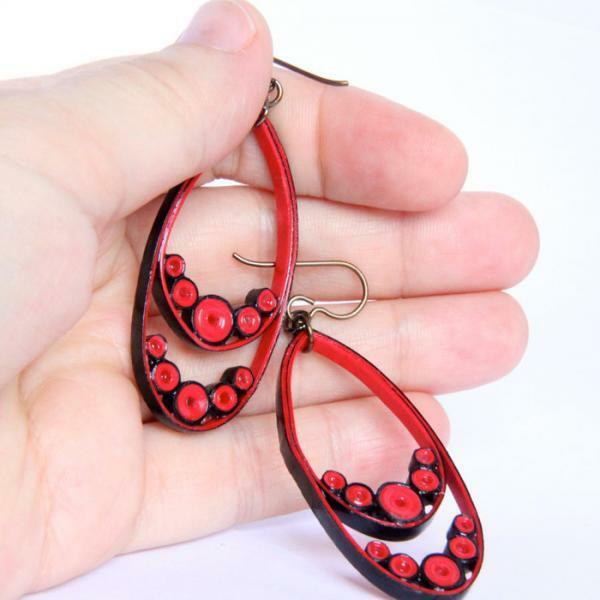 Each earring measures almost 2" (5cm) long not including the jumprings/hooks.